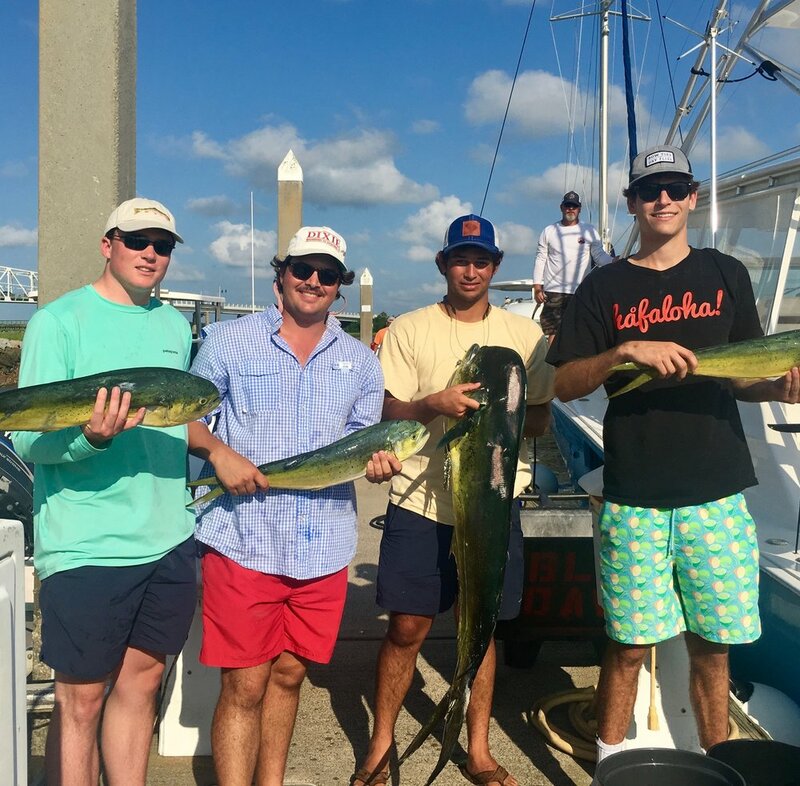 Fishing doesn’t get easier than this…you wait on your deck late afternoon, sipping a libation, and the vessel BLUE DAWG pulls up to the dock____your grandson Kase and some college buddies disembark with a “boat-load” of dolphin…many of them female…and females have the prized roe! So the fun begins___watching Capt. Freeman filet the fish. I win the “lottery”…I get to snag the “roe” as well as some of the dolphin. Now…what to do with it? Call Chef/Friend Philip Bardin (Old Post Office, Ella and Ollie’s…) Phillip who I can count on to be “in the know”! In his favorite and straight on imitation of Chef Frank Lee (Snob’s), “I would do just what our friend Frank would do___poach it in white wine and herbs”___(check). After poaching, I crumbled it up and added it to scrambled eggs…much like you would do with sausage and eggs. If fact, it has the texture of sausage, but with the healthy benefits of protein and omega 3’s. Roe and Eggs was created. For dinner I lightly breaded the roe, as I would shrimp___a little cornmeal, panko, and flour___sauteed it and served it with caper aioli as a salad. Delicious! Fresh out of the Ocean! Thank you Dawg Crew!